True to its legendary name and reputation, the MONARCH Fieldscope brings the excitement of awe-inspiring observation and incredible visual experiences to the eye of its beholder. MONARCH’S Advanced apochromat system of ED glass and proprietary lens and prism coatings delivers true color fidelity with high resolution integrity. 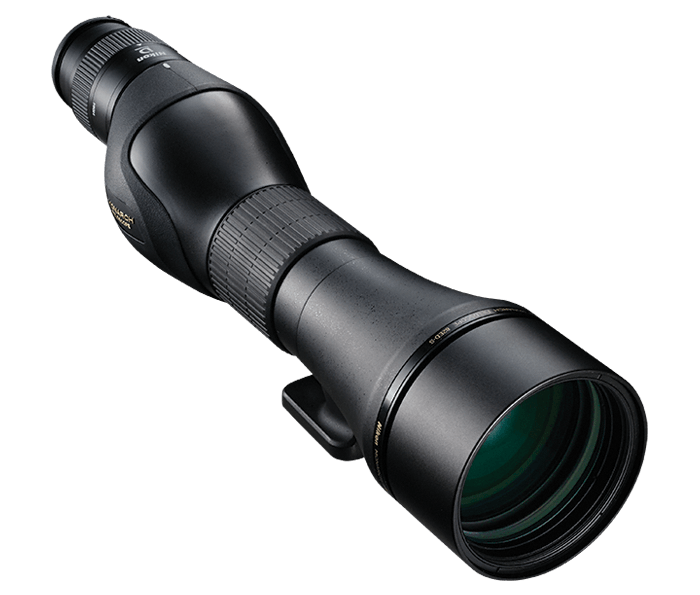 Nikon’s ED (Extra-low Dispersion) glass ensures a contrast-rich and color-faithful field of view. By designing the entire optical system from the ground up, Nikon’s Advanced Apochromat Optical System corrects not only chromatic aberrations of red, blue and green but also violet chromatic aberration to the furthest limits of the visible light range. The result is unimaginably sharp, high-contrast views. Multilayer coating is applied to all lens and prism surfaces, allowing powerful light transmission. The resulting bright field of view delivers true-to-life natural colors. Coating also greatly reduces the flare and ghosting that can occur in backlit situations.